I had to send my recently rechromed rear bumper back to get replated 🤦🏻‍♂️. So I can measure all hardware for u tomorrow. 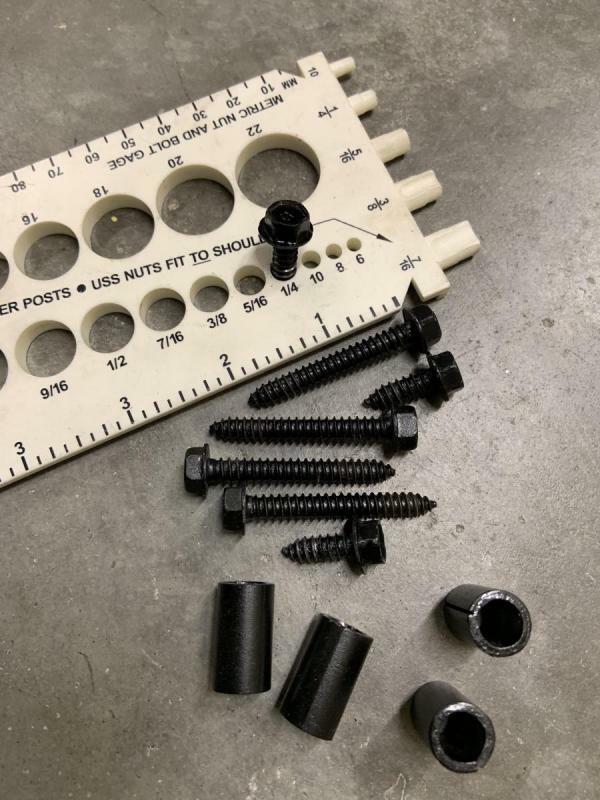 Thanks--on mine they appear to be #12 sheetmetal screws, and as you said two long ones with spacers and two short ones. But it's odd to use such fasteners with the bumper's captive (square) nuts. I also had difficulty getting my rear bumper replated. The sheer size of the bumper posed challenges for the plating shop in terms of chrome coverage. I had hoped to get the areas around the taillights to have full (quality) chrome coverage, even though they didn't necessarily leave the factory this way. Sorry…this is the best I can do. My cheap little measuring tool doesn't measure #12 pitch. My gauge goes from #11 then #13. No #12. Weird. U are probably right on them being #12’s cuz threads seem a little sloppy in the #11 & #13 slots. What I can tell u is that they are 1/4” x 2” & 1/4” x 1”…hope that helps.